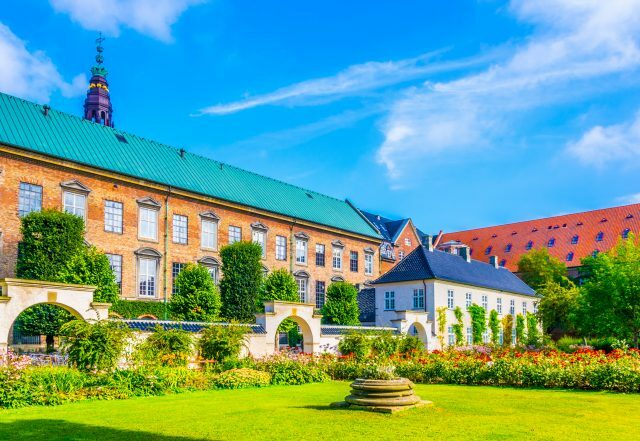 park between the Christiansborg palace and the Danish Jewish Museum in Copenhagen, Denmark. 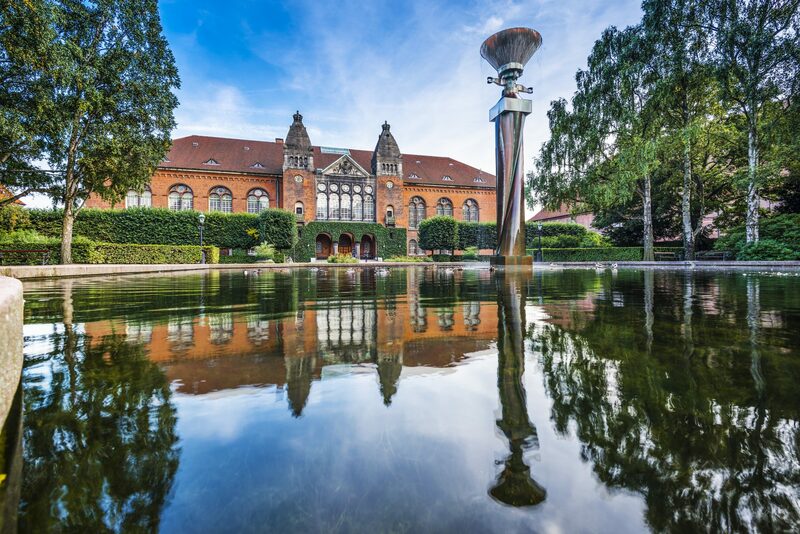 fountain in front of the Danish Jewish Museum in Copenhagen, Denmark. 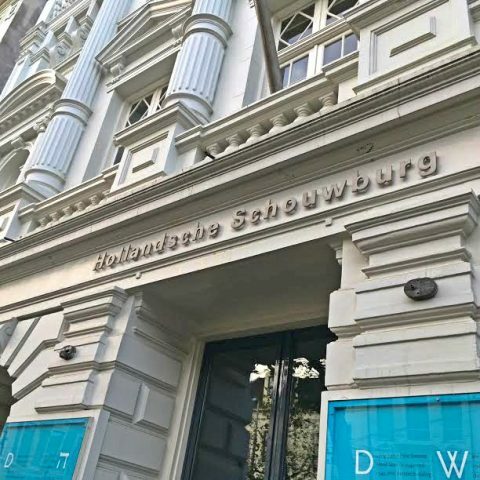 Discover the history of Danish Jewry on a unique full day city tour offering a guided drive in a perfect combination with a walking tour. 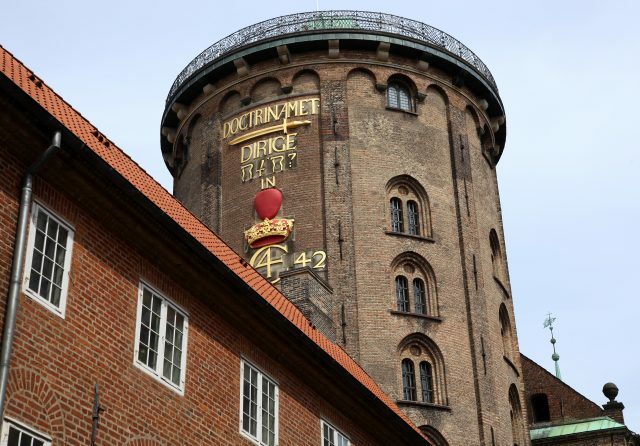 The panoramic drive will take you to the most important sights of Copenhagen as well as the Jewish heritage. 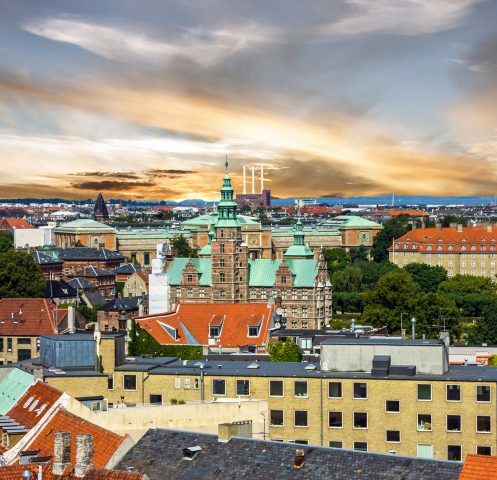 You will walk the streets that have witnessed the miraculous turning points, hidden secrets and once untold stories of the Jewish citizens in Denmark. Our day begins with a departure from the harbor towards the city center. 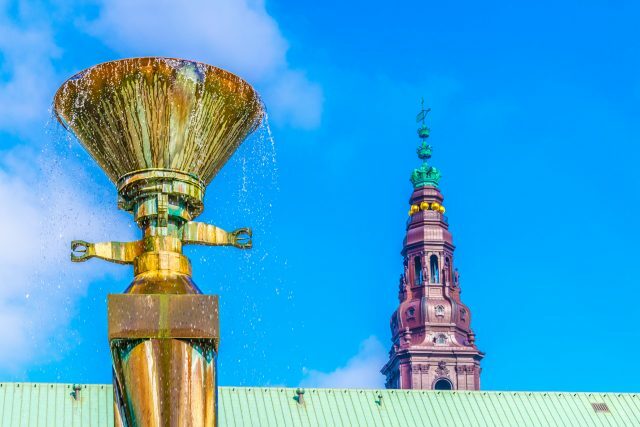 The sightseeing tour allows you to get acquainted with the most important sights along the way, including the fairytale like Little Mermaid statue and Opera House with spectacular views over the historic harbor front. We will then make our way past Christiansborg Palace to the Danish Jewish Museum. 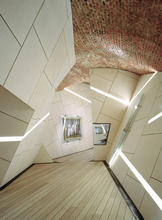 The museum is placed in an amazing structure designed by Daniel Libeskind. 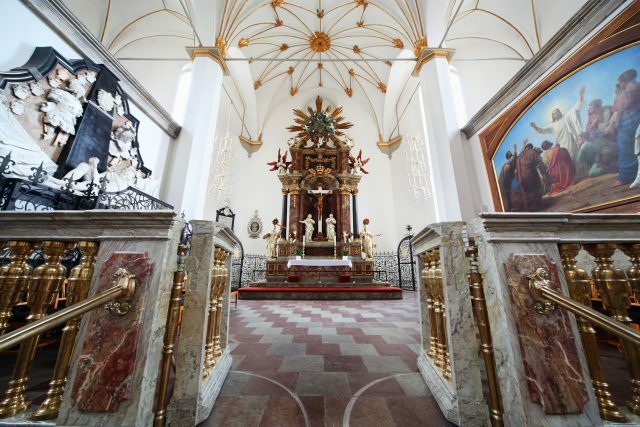 Next to the magic of a beautiful display of artifacts is the unique interior of the venue. 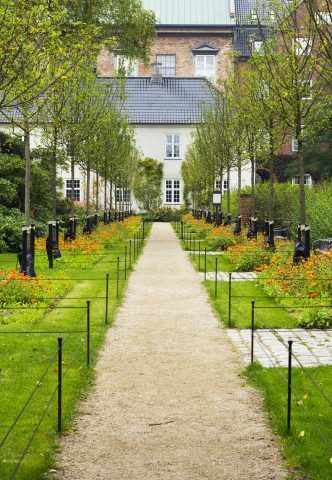 The innovative design gives you a feeling of walking through the rickety history of the Danish Jews. 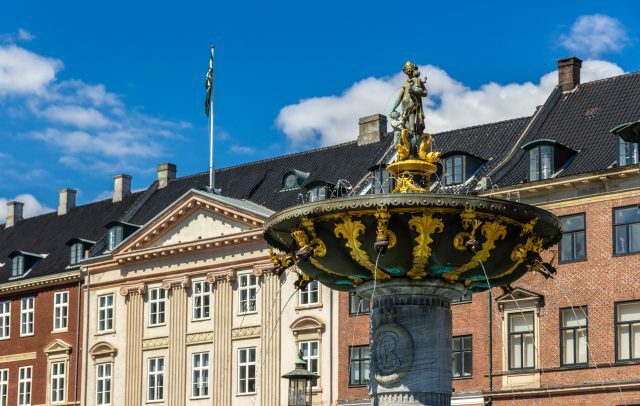 Thereafter, the old town center surprises us with a collection of historic and lively sights all within comfortable walking distance. 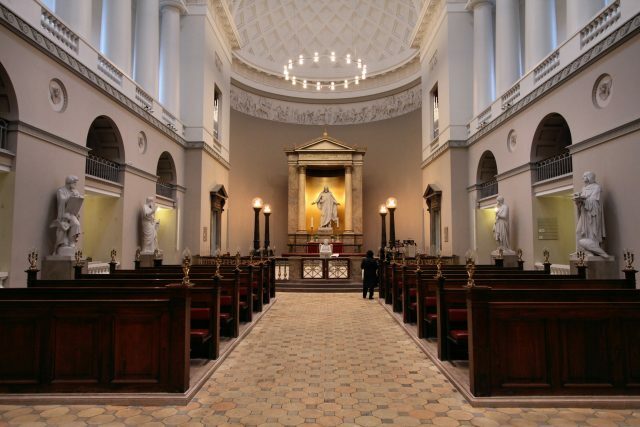 We will take time to visit the outside of the Great Synagogue of Copenhagen and significant sites in the Old Jewish Quarter nearby. The synagogue is defined by its unique architecture around the Ark of Law. Round Tower with its many legends and the historic Church of The Holy Trinity, where the Torah scrolls were secretly hidden during the II World War are just a stone throw away as well. The inviting atmosphere of one of the world’s longest pedestrian streets is best enjoyed over relaxing coffee break. 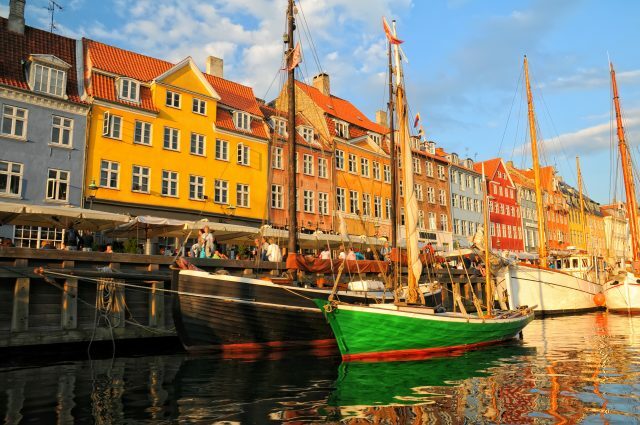 After some free time on Strøget, we will make our way to the legendary harbor front at Nyhavn, “The New Harbor”, filled with a beautiful line of vessels and flamboyantly colored houses facing the waterfront. Our day of exploring ends on the Kings New Square. This is a perfect location to continue exploring on your own or comfortably return to the pier or hotel with shuttle bus and taxi stops nearby. Guide To Top 10 Danish Traditional Lunches- Go Sandwich!